We are incredibly pleased to announce the launch of our new website for surgical healthcare that has been completely revamped, redesigned, and rebuilt. The reasons are several. First we decided that our old website was looking ‘a bit dated’. Despite regularly receiving positive comments from people all over the country, and even from overseas about how informative our website was, we felt that we could do it even better. A MORAY woman who had a 16-pound cancerous cyst removed from her body has completed a remarkable turnaround in her life by finishing a five-kilometre road race for charity. 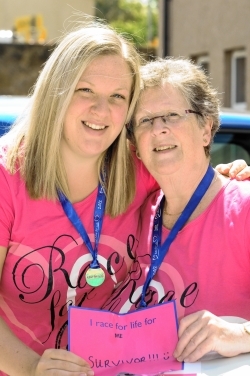 Eilidh Milligan walked the majority of the Aberdeen Race for Life, which raised money for Cancer Research UK, with mum Anne. Such a challenge would have seemed impossible just a few months ago, with Eilidh recovering from cancer after going through two life-saving operations. But now cancer-free, the 27-year-old is hoping her inspirational story can help others suffering from the disease. "I am glad still to be here, and I am glad I did the Race for Life to give something back," said Eilidh, who lives on Birnie Drive, Elgin. "Hopefully, they will use the money to find some sort of cure." In December, 2009, having been suffering from severe pain in and around her stomach, Eilidh was admitted to Dr Gray’s Hospital in Elgin. It was decided she needed an immediate operation, but surgeons were left dumbstruck when they began the procedure. Inside Eilidh, they came across a 16-pound malignant growth attached to her pancreas. Luckily for Eilidh and her family, the skilled surgeons were able to remove the cyst there and then without it leaking. She was then transferred to the high-dependency unit at Aberdeen Royal Infirmary, but despite requiring swift surgery she was ruled too ill to operate on. It was only in March, 2010, that surgeons – under the leadership of specialist Dr Irfan Ahmed – were able to carry out the life-saving procedure to remove her pancreas, spleen, lymph nodes and part of her stomach. However, even after completing the operation, Anne said Dr Ahmed had stated his belief that the cancer was incurable. "It’s a miracle. There was a time when doctors had only given her two weeks to live. They couldn’t believe it," said Anne (64), who lives on Young Street in Burghead. "Hopefully this will give a bit of hope to people." Aberdeen Royal Infirmary has become the first in Europe to remove a spleen using a "virtually scarless" single keyhole technique, it has been claimed. The single incision laparoscopic surgery (Sils) was performed by Prof Zyg Krukowski and Irfan Ahmed. They used one 15mm incision just below the left rib cage. Mr Ahmed said: "Removing a spleen using this novel technique is a more challenging operation because of its unique location in the body." 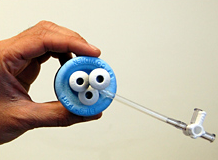 The technique has already been successfully used in Aberdeen for gall bladder, appendix and hernia operations, since October last year. The latest technique involves making a single incision and inserting a port with multiple channels so that instruments - including a miniature camera - can be fed through to the site of the operation, all through the one access point. Prof Krukowski said: "After freeing the spleen it was placed in special bag, and removed through the port site. "The procedure took a little over one hour which is similar to our routine laparoscopic approach. The patient was able to go home 24 hours after the surgery." Mr Ahmed said: "Even keyhole surgery, which involves several incisions, has not been used routinely in some hospitals for removing a spleen. "In Aberdeen, keyhole spleen removal has been in routine practice for more than 15 years. Now we are pleased to take it a step further and remove it through a single keyhole."